In October 2015, musician Emma Ahlberg Ek entered the county museum archives in Härnösand, Sweden. The purpose of this visit was to find information about a very interesting musical personality, namely the musician Hillevi Öberg (1897-1979). 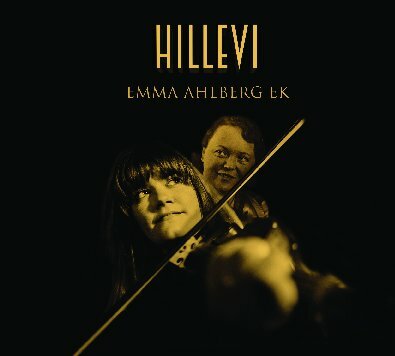 Among other things, Hillevi made her living as a fiddler and cinema musician. There were few commentaries about Hillevi in contemporary press, and she was also mentioned by the folk music collector K.P. Leffler. Emma Ahlberg Ek, however, wanted more insight, but found nothing else in the archive. At last, she managed to track down a son, Rolf Brodin, still very much alive. A meeting was arranged and Emma made an interview with Rolf, a healthy 91-year-old who could vivify his mother’s life story through his own memories. In this way, a meeting took place between two strong women in the service of music – one from the present, and one from the past. Now, Emma has revealed Hillevi Öberg – in word and music. She is one of all these outstanding female folk musicians, violinists and musical directors, sometimes mentioned with only a few words in the archives, in a press clip or in the written history of music. This tribute to Hillevi is a poignant way of letting her speak once more. Emma Ahlberg Ek comes from Sundsvall, in Sweden’s geographical midst. With her multifaceted musicianship and very personal musical expression, she is one of the most interesting performers on today’s Swedish folk music stage. Apart from her own affaire de coeur concerning Hillevi Öberg, Emma performs regularly in several other groups and contexts, i.a. Ahlberg, Ek & Roswall, Ulrika Bodén, Folk All-in Band, and Lars Bygdén. Emma is trained in folk and classical violin playing at Malungs Folkhögskola and the Royal College of Music in Stockholm. In the summer of 2010, she was elevated to the position of riksspelman (master of folk music) for her performance of tunes from Medelpad province.